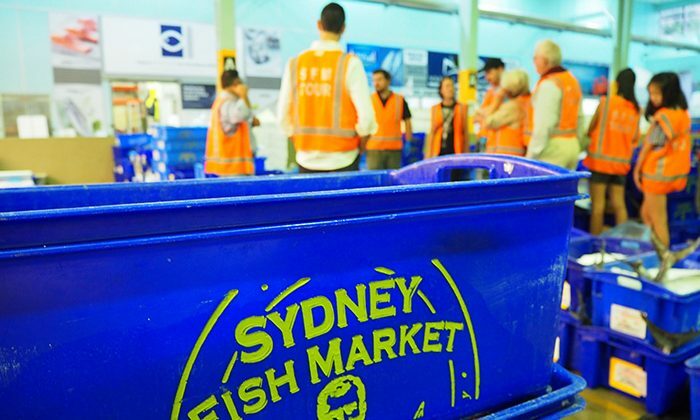 Every weekday morning, a fascinating auction takes place at Sydney Fish Market, the largest market of its kind in the southern hemisphere. Using a reverse auction method that dates back hundreds of years, fifty tonnes of seafood is traded within a matter of hours. 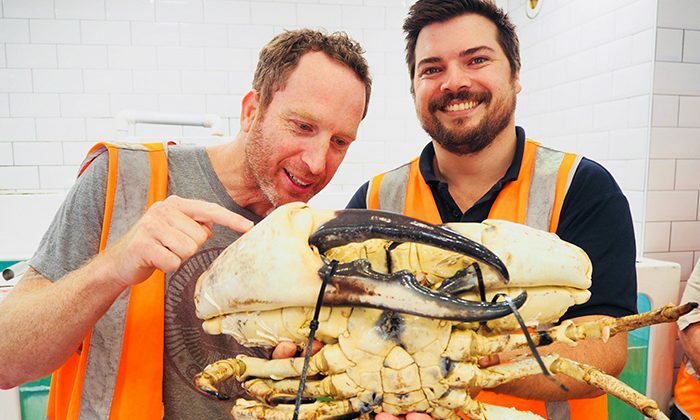 The diversity of seafood available at Sydney Fish Market places it in a league of its own. 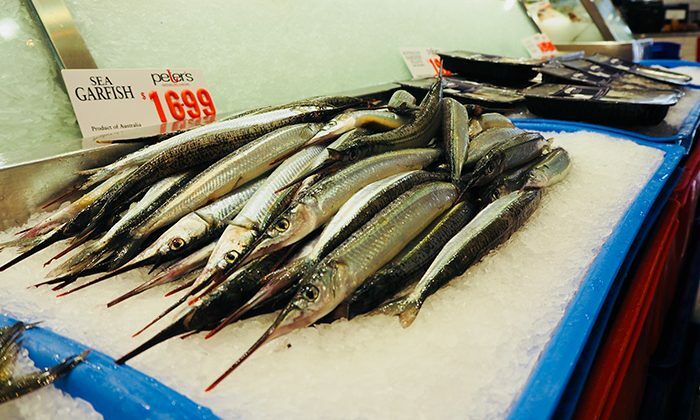 A guided morning tour reveals not only how your food gets to your plate, but why you should be looking beyond just salmon, trout and prawns. 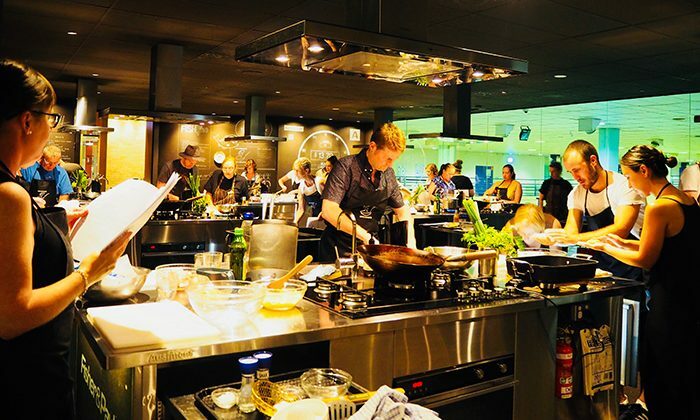 For kitchen inspiration, take an excellent cooking class in the modern kitchen located upstairs from the auction floor at Sydney Seafood School. Length of Trip : Duration of a tour is usually 1 1/2 - 2 hours. 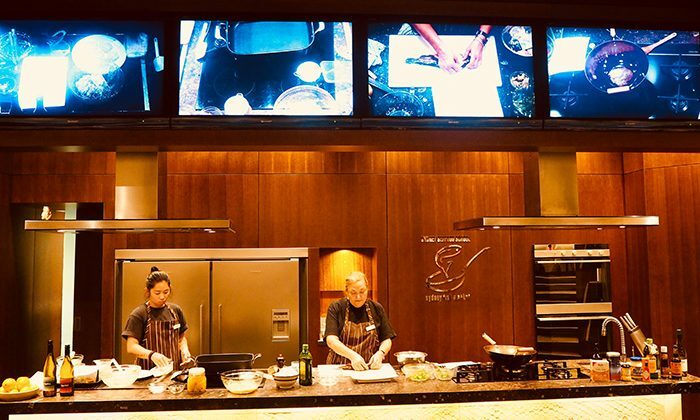 Cooking classes range from 2 to 4 hours. Click here for current cooking class fees. Click here for the latest Fish Market tour prices. 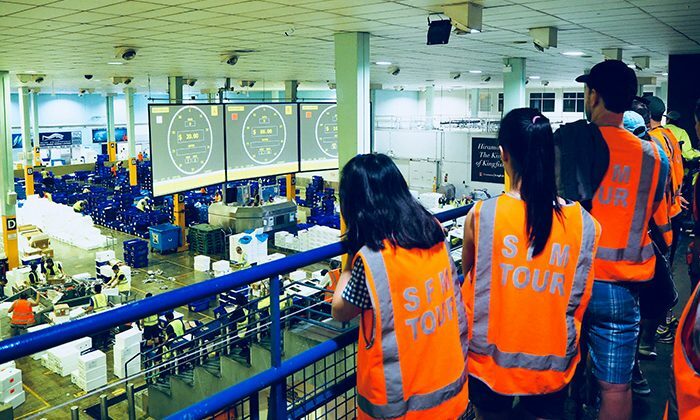 Best time to go : Tours and classes run year-round. Note that tours begin at 6:40am sharp. Family friendly : Minimum 10 years of age. At the Fish Market of course! There are a variety of restaurants on-site catering to different budgets and the seafood won't be any fresher. Don't miss out on the fresh shucked oyster trays, which are a terrific bargain. Better yet, enjoy the delicious lunch you've prepared upstairs at the Sydney Seafood School, washed down with glass of fine wine. When in Sydney, we recommend staying in the spacious, serviced apartments of our partner, the historic Oaks Goldsbrough. Located in Darling Harbour, it has easy access to restaurants and the famous Darling Harbour walkway. There is carpark entry is via Bank Street. Catch the Sydney Light Rail from Central Station, The Star, Haymarket or Darling Harbour to the Fish Market stop which is located across the road from the Market. Services run from Central to Lilyfield and back every 10 - 15 minutes. Captain Cook Cruises operates a ferry service between Sydney Fish Market landing pontoon and Barangaroo (King Street Wharf No.1) every Saturday and Sunday. You'll never seafood the same way again after you learn how it is caught, sold and makes its way to your plate. You'll also learn how we tend to eat the same species of fish, when there is so much more variety available, sustainably caught and easy to prepare. The Seafood School upstairs has a range of classes, from well known- guest chef sessions to classes for first-timers. It's a great morning capped off with a terrific lunch, even better for the fact that you prepared it! 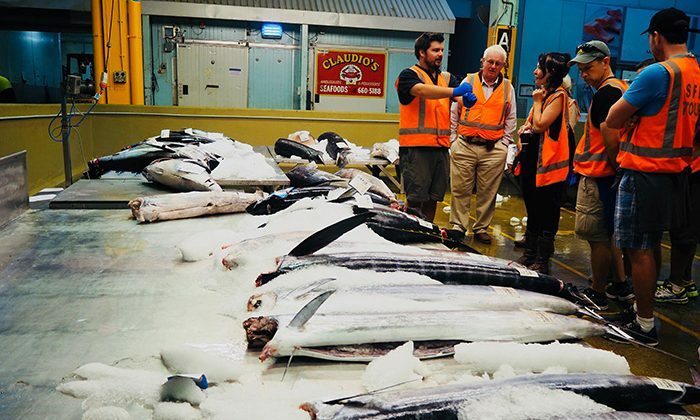 Does the Sydney Fish Market belong on the Australian Bucket List?